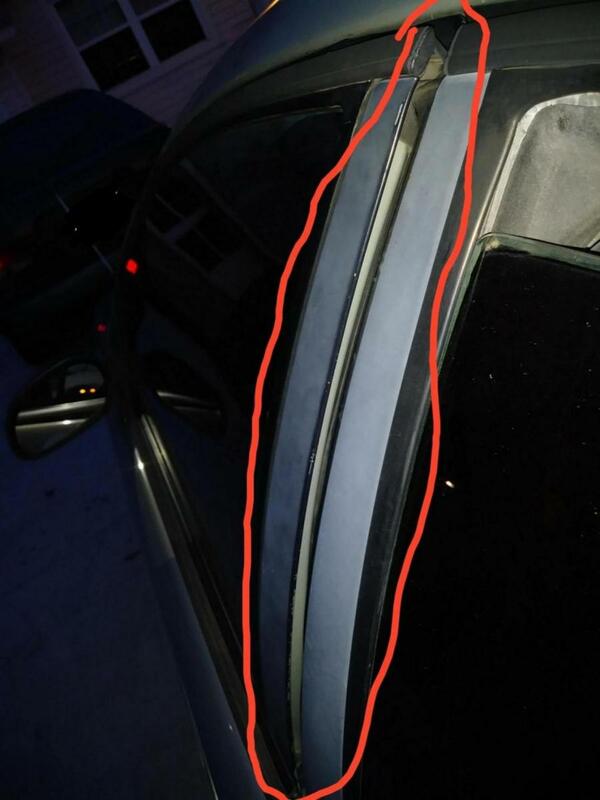 What is the condition of the metal rocker panels under the plastic black covers. Was this always like this? Was the car ever in a major crash and (poorly) repaired? [QUOTE=Automender12345;3457789]What is the condition of the metal rocker panels under the plastic black covers. Was this always like this? The rocker panels look fine no bulging, rust, holes, nothing. I bought the car about a month ago from a car lot. It was already in that condition but not as bad. [QUOTE=Jeff K;3457819]Was the car ever in a major crash and (poorly) repaired? According to the vin history lookup no it's never been in a major crash. You will need to twist the top window frame in to seal. I have encountered this many times when someone locks their keys in the car and forced the door open far enough to access door lock. 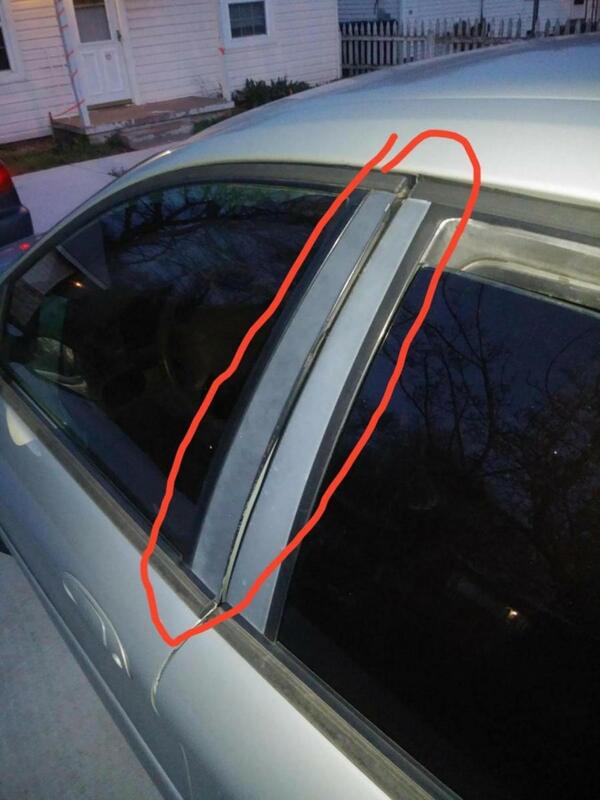 Roll the window down before bending the door frame back to fit. repairman54 and sheila like this. Yep, that looks like someone pried it open and bent it. The top of my driver's door was like that too, but not as bad. I fixed my problem by moving the striker in slightly. The top half of the door now lines up perfectly with the rear driver's door, but the bottom half is now too far in. Not a big deal I guess. Supposedly the door was misaligned when the car was new and probably requires realignment by loosing the hinge bolts, something that I'm not willing to do. Last edited by redhousenine; 04-05-2019 at 09:34 AM.